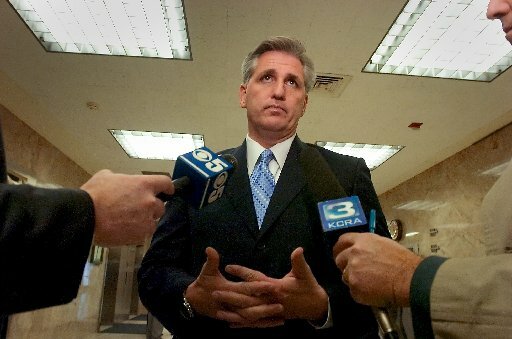 Rep. Kevin McCarthy (R-Bakersfield) and House Majority Whip, gives us his weekly view from Capitol Hill. "Small businesses are the backbone of our economy, and Dewar’s Candy Shop and Urner’s here in Bakersfield are two great examples of that. This week, both businesses cut the ribbon for two new stores serving our community. Dewar’s has been in business for over 100 years and Urner’s for nearly a century. They are more than small businesses; they are a part of our community. wide-ranging Q&A session with the Public Policy Institute ofCalifornia. In addition to efforts to grow our economy and spur job creation, many of the questions surrounded energy development, California’s water supply and high-speed rail. The solutions to many of these challenges are both short and long term. ready’ project that will also create tens of thousands of jobs. I’ve also been working closely with Governor Brown to ensure that permitting for Kern County’s oil producers moves forward in a timely fashion. Over the long term, we need to make serious reforms in our tax code in order to give American businesses a level playing field that promotes the competition and innovation we need to grow our economy and create jobs. 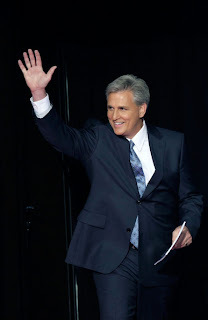 * ... MCCARTHY: Rep. Kevin McCarthy, R-Bakersfield and House Majority Whip, enjoyed some good press when Los Angeles Times political columnist George Skelton mentioned he might make a good senator, governor or even president. "I'm sitting wondering why McCarthy - savvy, substantive, sane and civil - and other Republican members of Congress don't run for higher office in California: U.S. senator of governor," he wrote in his Capitol Journal column. Skelton praised McCarthy for his focus on economic policies instead of divisive social issues. "I'm not saying McCarthy would be a good senator or governor, let alone president.... but he certainly has a track record in office that shows he's plenty qualified to be senator or governor." * ... STEINBECK: One of my regular correspondents, Glenn Worrell, wrote to put some context around the idea that John Steinbeck spent some time in Bakersfield around the time he was writing 'The Grapes of Wrath.' 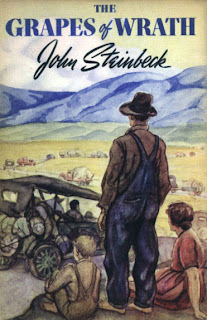 Said Glenn: "It is also rumored that John Steinbeck lived in the Sunset Labor Camp (under an assumed name) or spent a lot of time in the camp interviewing or talking to migrant (dust bowl people) before going back to Salinas to write the 'Grapes of Wrath.' There were a lot of Lamont residents who took strong issue with the book. 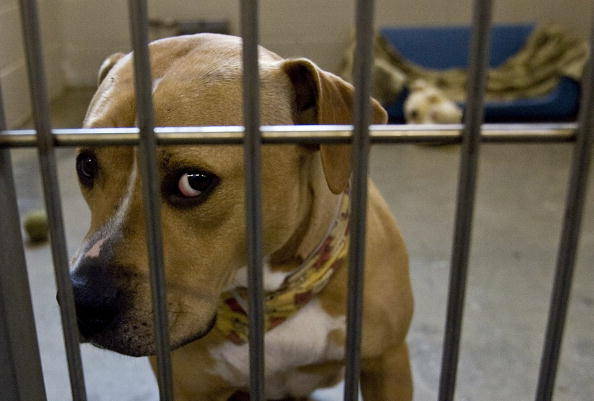 It was banned in Kern County for a few years because it was critical of the Sheriff's action." * ... OVERHEARD: On Facebook someone referred to a "nice, new car" dealership off Panorama Drive but then checks himself and says, "Oh, that's student parking at Garces." 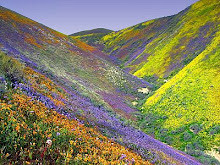 * ... BLOG: For those of you who read this blog online, it is back at www.bakersfieldobserved.com. Somehow I lost the ".com" address and the blog was offline for a few days, but it is back at bakersfieldobserved.com. * ... CORRECTION: An earlier post that referred to a shootout at "the Joss house" in old Bakersfield was apparently partly incorrect. As Margaret Lemucchi told me: "The term 'joss house' refers to a Chinese temple or shrine. When historians have used the term in connection with the shoot-out downtown I am pretty sure it also implied opium den." * ... JOSS HOUSE: Gary Johannesen also added some detail to the joss house story. "The date was April 19th, 1903. Outlaw Jimmy McKinney was hiding at the Chinese joss house, having fled Arizona after killing two men. McKinney was also wanted in Tulare County for killing two other men in Porterville. The joss house was surrounded by seven lawmen and McKinney was ordered to surrender. He chose to start shooting instead. Deputy Sheriff (Will) Tibbett was killed along with Constable (Jeff) Packard in the gun battle; in addition to McKinney. An accomplice was arrested and taken to the County Jail where an angry mob tried to lynch him. Meanwhile, an additional accomplice remained hiding in the house and refused to surrender. The house was lit on fire and the second accomplice surrendered. Obviously a sad day for the town." * ... WHO KNEW? Did you know that East Bakersfield began as a company town named Sumner, laid out by the Southern Pacific Railroad? 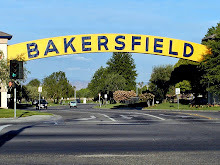 It was incorporated into Kern County in 1893, became known as East Bakersfield around 1900, and was incorporated into Bakersfield in 1909. Thanks to the Kern Economic Development Corporation for this bit of history. * ... BOORISH RANT: A friend passed along a column by a sportswriter for the Las Vegas Review Journal following the recent CSUB-UNLV basketball game. Written by Adam Hill and full of the typical boorish rants about our community, the piece was titled "Looking down our noses at Bakersfield" and is little more than a sophomoric litany of things the writer didn't like: the half-time show, the "four, old bald guys" who sang the national anthem and even a security guard "who paced back and forth" as if he were a member of the Queen's Guard outside Buckingham Palace. Plumbing issues at a local hotel were even cited as further evidence of the dismal state of our community. I always caution my friends about being too thin skinned about Bakersfield, which certainly has its issues, but when did Las Vegas become anyone's view of the promised land? Before Adam Hill trips on his own judgmental smugness, he might remember that zip codes are never guarantees of personal happiness. * ... SPOTTED: Middle aged woman running across a busy Truxtun extension at midday, holding a cigarette as she waits for a break in traffic to get from the lake to the other side of the road. * ... FOOD DRIVE: Hats off to all the county employees who participated in the annual food drive to help the Golden Empire Gleaners. Special kudos go to the District Attorney's Office which quadrupled its contribution, going from 407 pounds in 2010 to more than 1,600 pounds of food plus monetary commitments in December. Waste Management came in first and the office of the Auditor was second. DA Lisa Green said she could not have been prouder of her office. * ... 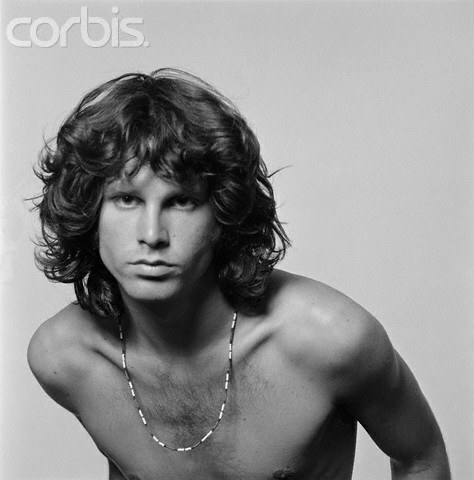 THE DOORS: We've finally settled the dispute between two readers about when the rock band The Doors and lead singer Jim Morrison were in Bakersfield. 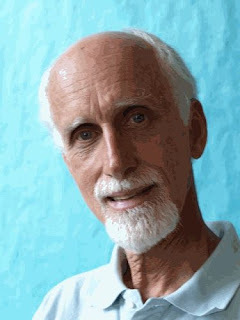 Charlie Wilmot remembers August 21, 1970, and Mark Elieff recalls a date in June 1968. It turns out both of them were right; The Doors visited Bakersfield twice on the dates Wilmot and Elieff remember. * ... URNER'S: The folks over at Urner's are opening a new location, this one focusing on mattresses and a good night's sleep. It's called Urner's Z's Please Sleep Center and it is located in the shopping center at the corner of Brimhall and Calloway Road, the same place that houses Action Sports and Prime Cut. The ribbon cutting is this Thursday at 4:30 p.m.
* ... WHO KNEW? Did you know that last official old west gunfight occurred in 1903 near L and 21st streets? According to accounts, lawmen were searching for Jim McKinney who was hiding out in the Joss House. He rushed out of the doors, guns ablaze, and was fatally shot several times. Thanks to Patricia Marquez of the Kern Economic Development Corporation for this bit of history. * ... DEATH: How do you feel about death and the afterlife? How do your spiritual and religious beliefs affect the way you face the inevitable? These are deeply personal and fascinating questions that I will be discussing Monday (today) with Stafford Betty, a professor of religious studies out at Cal State Bakersfield, on Californian Radio on KERN 1180 AM. Make sure to join the conversation and call in at (661) 634-1410 beginning at 9 a.m.
* ... SPOTTED: Larry Miller submitted this "digital salute" to a woman in a black Chevrolet Blazer who displayed an appalling lack of class while parking next to the medical building at Mercy Hospital. Another driver was trying to pull into a handicapped space while "Blazer girl blocked all traffic (and) then proceeded to set there blasting her horn at the vehicles in front of her instead of backing up the three feet that would give everyone parking access. I suggest she get her sorry back-side up and leave home a little earlier if she is in that big a hurry." 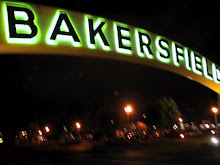 * ... CONCERTS: Mark Elieff wrote to correct an earlier post on when the legendary rock band The Doors played here in Bakersfield. 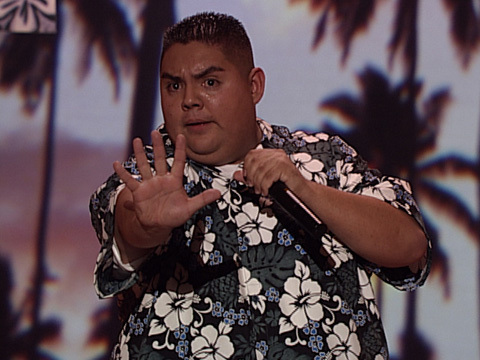 "The Doors were my first concert when I was 14. It was 1968. My brother Pete had tickets but had to work at Guimarra Vineyards that day (I believe in July.) He gave them to me and my sister Meegan. The tickets were about $3.50 each. The concert (really Jim Morrison) scared the hell out of me but I loved it. It was the first of about 600 courts, 40 Springsteen, 15 Rolling Stones, 15 Tom Petty and so on." 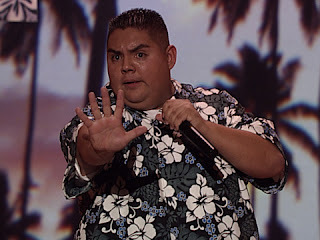 * ... IGLESIAS: Speaking of concerts, comedian Gabriel "Fluffy" Iglesias was in town last week and was spotted the next day dining with his crew at Luigi's over on 19th Street, enjoying some of Bakersfield's best local food. No word on what he ordered. * ... DID YOU KNOW? Did you know that Pulitzer Prize winner John Steinbeck visited Bakersfield in the 1930s around the time he was writing The Grapes of Wrath? 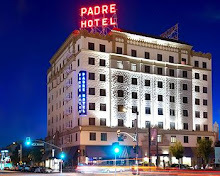 Rumor has it he even spent some time imbibing at the historic and infamous Padre Hotel.